Schedule Service Schedule Automotive Service in Silver Star Motors. For the best pre-owned vehicle prices and selection in Tallmadge, Ohio choose Silver Star Motors. Here we make it easy to shop for and finance the perfect car, truck or SUV for your budget and style. Our simple, no-hassle shopping process streamlines everything from the paperwork to the financing to help you save time and money. In fact, we work with a variety of financial institutions and lenders to connect our customers with the best opportunities. 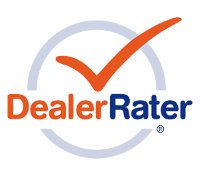 With over 64 combined years in the industry, Silver Star Motors remains the premier source for great used vehicles. We hand-pick every vehicle for our inventory and put each through a rigorous multi-point inspect to ensure that it meets our Silver Star Certified standards. Choose from a wide selection of models from all the leading manufacturers, including Volkswagen, Chevrolet, Ford, Lexus, Audi, BMW and more. Stop by and see us today! We proudly serve drivers from across the Akron area, including Cuyahoga Falls, Stow, Kent, Hudson and more.